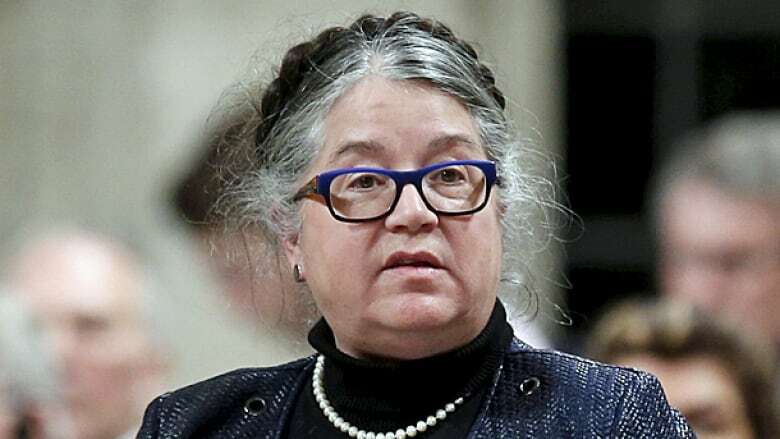 The national revenue minister is blaming bureaucrats at the Canada Revenue Agency for hatching a plan to tax employee discounts, reversing a new interpretation of the tax code she says she never approved in the first place. The national revenue minister is blaming bureaucrats at the Canada Revenue Agency for hatching a plan to tax employee discounts, reversing a new interpretation of the tax code she says she never approved in the first place while instructing the agency to pull the plans from its website. In a statement sent to CBC News, Diane Lebouthillier's press secretary said she is "deeply disappointed" employees at the tax collector issued a directive — or a "folio" — with new rules around how employee discounts on merchandise would be treated for tax purposes. The CRA had said on its website that when an employee receives a discount on merchandise the value of the discount should be included in the employee's income at tax time. "This document was not approved by the minister and we are deeply disappointed that the agency posted something that has been misinterpreted like this," John Power, a spokesperson for Lebouthillier, said in an emailed statement. "The agency issued a guidance document that does not reflect our government's intentions and the minister of national revenue has instructed officials to clarify the wording." Shortly after the statement was sent out, the folio was pulled from the CRA's website. Power said the minister has instructed the agency to review its interpretation of the tax code and consult with stakeholders in the industry. Later in the day Prime Minister Justin Trudeau told his Twitter followers that his government has no intention to "tax anyone's employee discounts." The government's backtrack comes amid a stunning backlash to the change from the Retail Council of Canada and thousands of the country's two million retail workers. Later, in an interview with CBC's Power & Politics, Treasury Board President Scott Brison said the government will not go after retail workers who get discounted clothes as part of their employment. "These are people who work really hard and don't make a lot of money. That guidance document is gone from the website for a reason: it does not reflect our intention as a government ... nor does it reflect our government's priorities," he said. "That memo gave the wrong impression." While the minister has called for a review, the tax collector is still expected to address taxation on employee discounts. A 2011 tax court ruling found the CRA's guidance to employers on this matter was out of date and did not adequately conform to the Income Tax Act, which stipulates most employee benefits should be deemed taxable income. Indeed, subsection 6(1) of the act states that income should include the value of "benefits of any kind whatever received or enjoyed by the taxpayer ... by virtue of the taxpayer's office or employment," with few exceptions. Let me be blunt: we are not going to tax anyone's employee discounts. Minister <a href="https://twitter.com/DiLebouthillier?ref_src=twsrc%5Etfw">@DiLebouthillier</a> has asked the CRA to fix this. In response, in its 2016 folio — a document written in plain language and disseminated to employers to help them interpret the tax code — the CRA said employers should start tracking employee discounts and report that as income on an employee's T4 (statement of remuneration paid). Previously, merchandise discounts were only considered taxable if the price paid by the employee was below the actual cost of the good to the employer. "What we will do will be fair to Canadians," Brison promised, while adding it would be up to the CRA to determine how best to craft a new interpretation to adhere to the court ruling. Under the guidelines the CRA had proposed, the difference between the "fair market value" of the merchandise purchased and what the employee paid was what would have had to be claimed on a tax return. For example, if an employee bought an $80 sweater for $40, then the employee would have to claim the $40 difference as income.